Attention All Foodies! 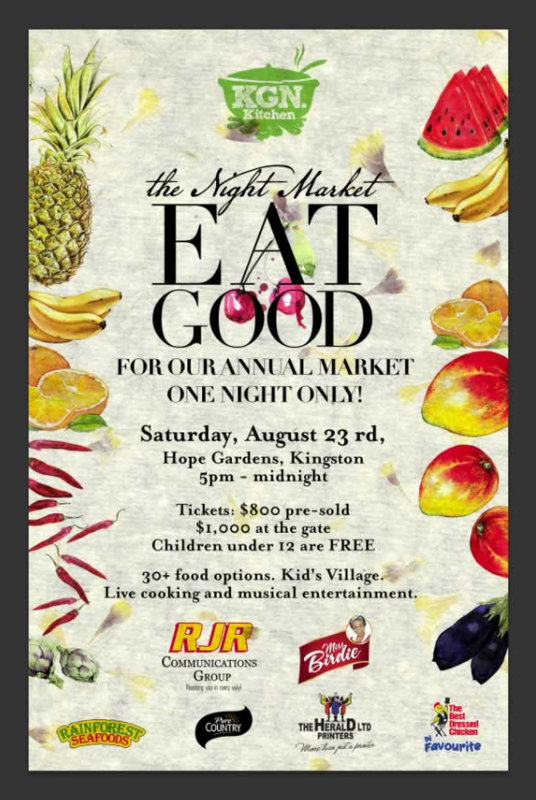 Kingston Kitchen this Saturday! Tutti Frutti Truck + Rainforest Seafoods, Best Dressed Chicken, NCR Sheep, Hellshire Style Fish Booths and more will be there! Pre-sold tickets available at CPJ Deli – Lady Musgrave Rd., Copy Cat – Barbican Centre, Cafe Blue – Sovereign, Tea Tree Creperie – 8 Hillcrest Ave. and Candy Craze – Manor Park. Support Brand Jamaica – our local chefs, caterers, restaurants, small batch vendors and farmers.